Originally, JR had been interested in encapsulating the landscape of his suburban Paris neighbourhood, but after finding his first real camera in the Paris Metro late one night, his efforts to capture the vibrant hip-hop culture of Paris began to expand to pasting his work on the street. 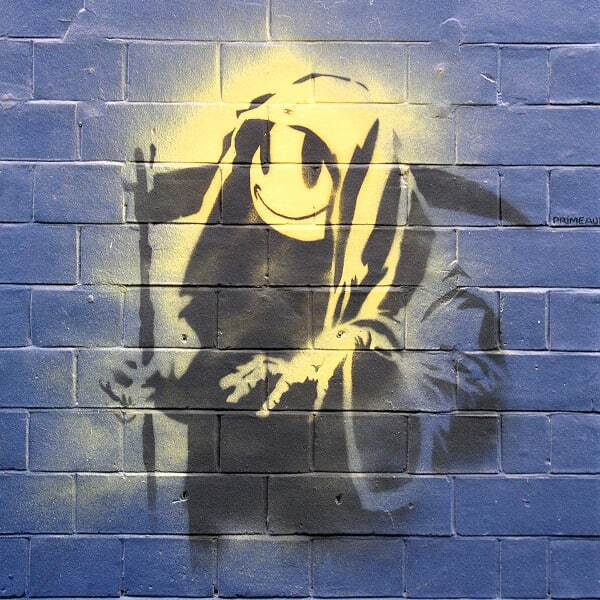 The artist’s classic wheat-pasting methods and documentary photography were long-admired by Lazinc; the gallery labelled him an ‘artistic man of mystery’ in 2006. 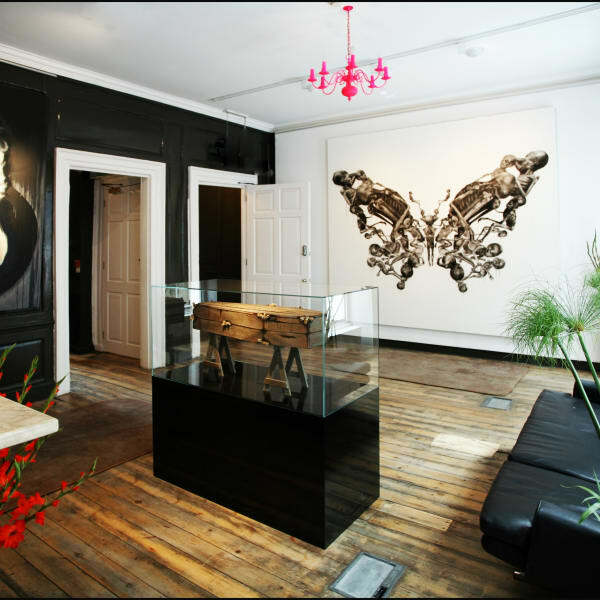 By 2008, Steve Lazarides had invited JR to visit the gallery and the pair had organised JR’s debut London exhibition; 28 Millimetres: Women. 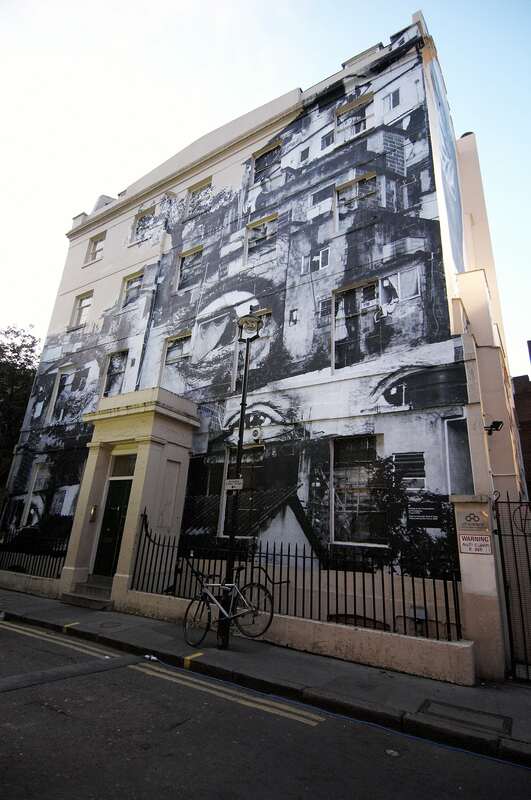 Not to disappoint with their first official exhibition together, JR’s work was showcased in two of Lazinc’s central London galleries, Greek Street and Charing Cross. Both featured large-scale street art photography which had never been seen before. The show really was traffic-stopping, with work pasted around central London, two galleries full of work, and a provoking narrative to support it all. 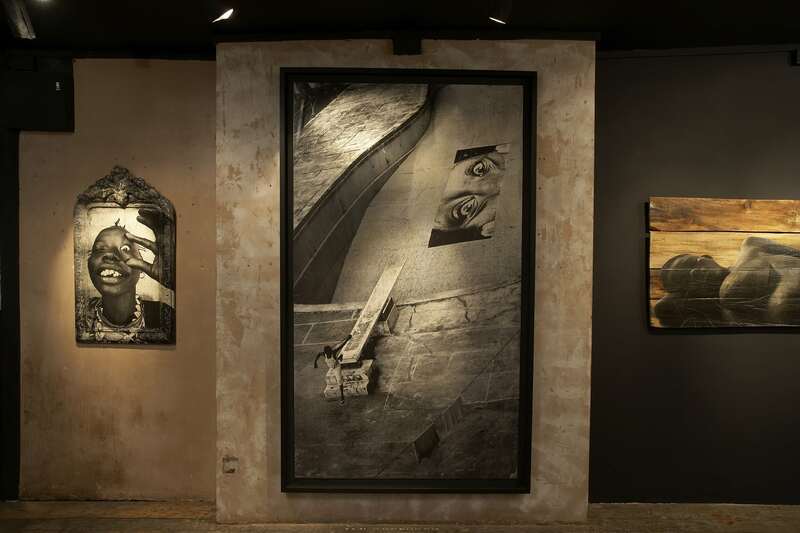 The exhibition was linked with JR’s 28 Millimetres: Women project in Rio de Janeiro, where the artist met women in the favelas whose day to day lives involved crime, violent loss of loved ones and arbitrary repression. These stories made a huge impression on JR and his response was to paste images of these women’s eyes onto the buildings of Providencia, creating arresting works that were seen around the world, drawing attention to the unnoticed. These images were used to create several of the pieces that featured in the exhibition. The captivating eyes that featured in 28 Millimetres: Women seemed to travel the world with JR. However, the eyes belonged to different people, each with a different tale to tell. 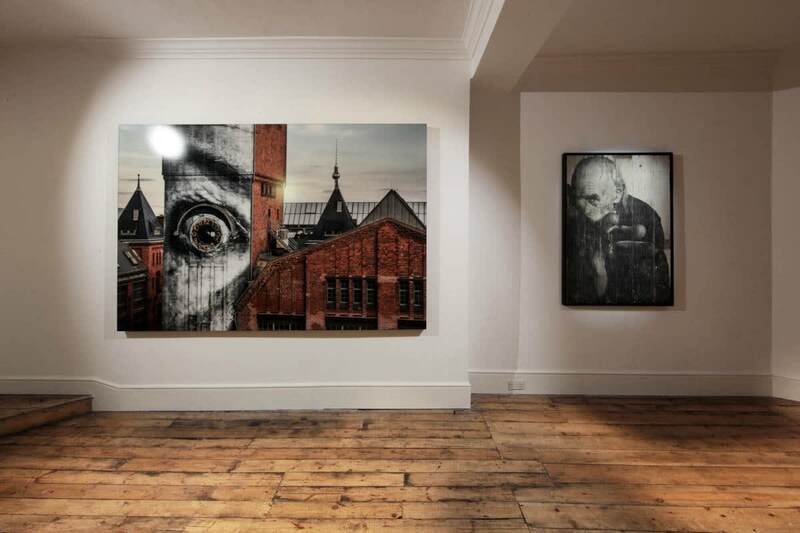 After travelling the world with several projects and exhibitions, JR returned to London in 2013 for his first exhibition in Lazinc’s Rathbone gallery. 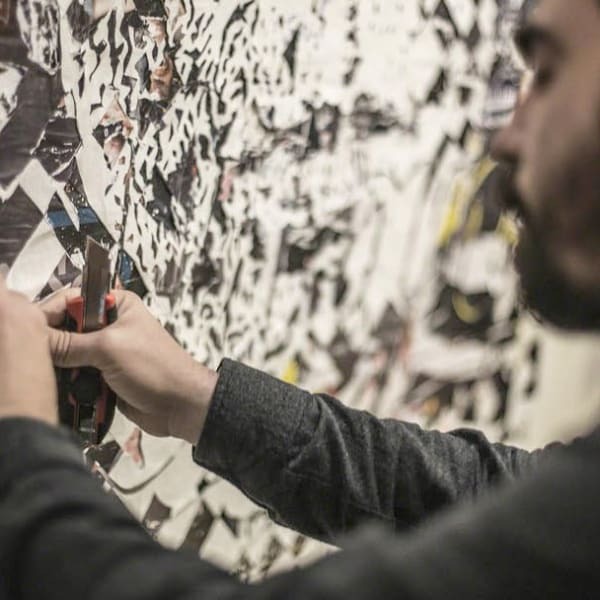 The show, titled Actions, highlighted various actions JR has accomplished around the globe, noting his initiative to employ art as a tool for global communication and understanding. Imagery from Wrinkle of the City Project in Berlin, 2013, recreated images from Portrait of a Generation set in the ‘Les Bosquests’ ghetto of Paris and images from JR’s journey to North Korea took over two floors of Lazinc’s flagship gallery in Rathbone Place. 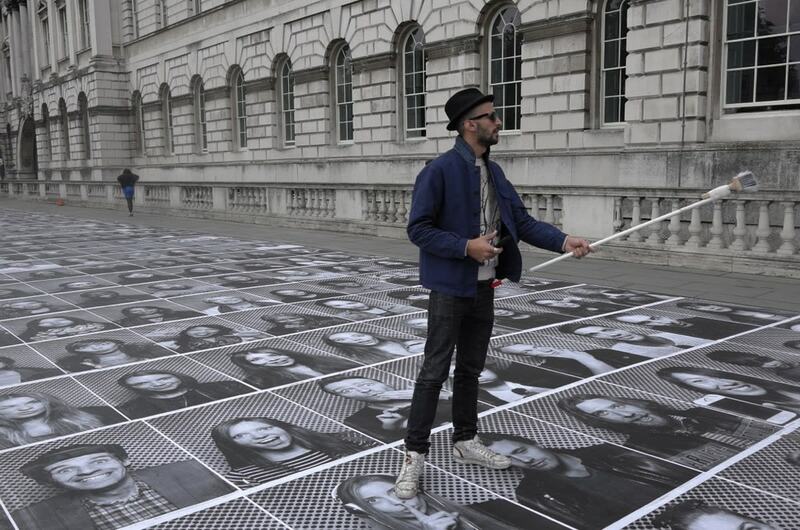 In conjunction with the exhibition, the artist went out in the streets of London, inviting the community to become a part of his public art project; INSIDE OUT. The underlying concept for the ongoing project is to give opportunities to anyone who wants to share their portrait and a statement of what they stand for. 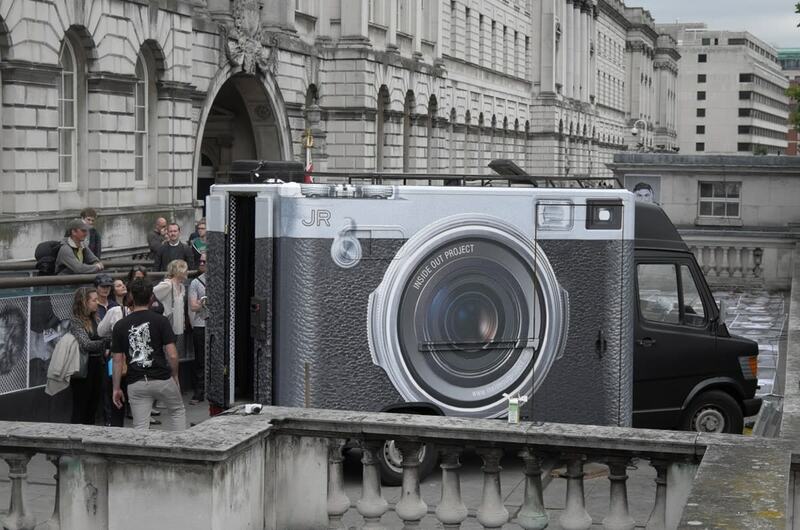 JR invited Londoners to create their own portrait in the travelling INSIDE OUT truck where they were subsequently printed as large black and white posters and pasted onto various iconic London sites. This particular project is still travelling the world with JR; a nod to the artist’s use of art and act. 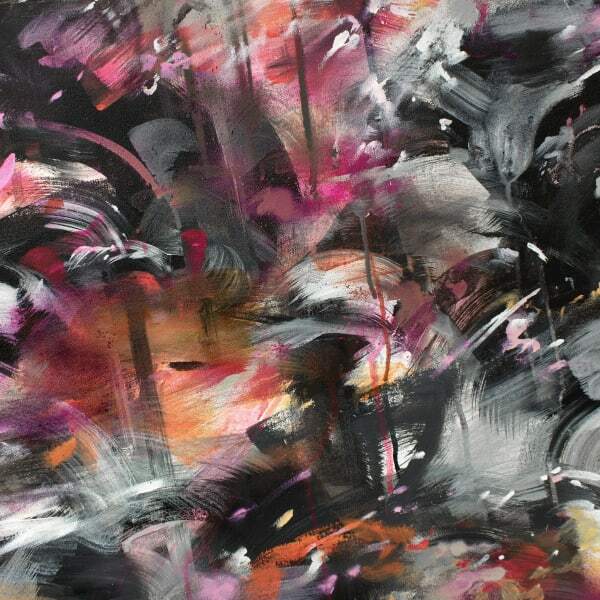 The concept of art and act was especially powerful in the artist’s 2015 exhibition: Crossing. 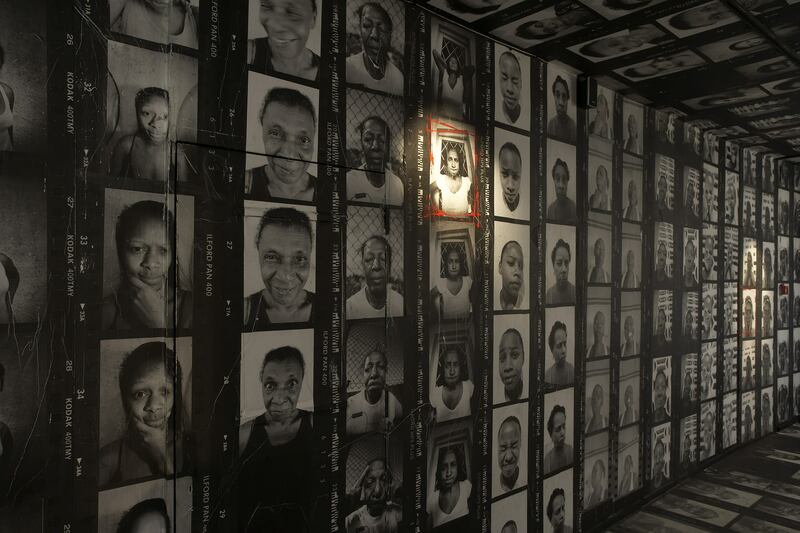 The show allowed gallery visitors to experience the world of JR through the juxtaposition of two unique series of works; Les Bosquets and UNFRAMED Ellis Island. Les Bosquets, a series of unique shots on the roof of the Paris Opera house, offers beautiful optical illusions, created by JR’s clever composition and choreography. The series, which also includes imagery from his New York City Ballet project, shows the beauty of ballet in a variety of unconventional backgrounds. The second series, UNFRAMED Ellis Island, commemorates the stories of the millions of migrants that entered the United States of America through Ellis Island. Using an archive of imagery from Ellis Island, JR has managed to bring the spirit of the migrants, whose presence has shaped the modern world, back to life. These two touching series in one exhibition really let the viewer take a look into JR’s world; a look at his skilful photography, his provoking story-telling and his enthusiasm to make the unnoticed noticed again. 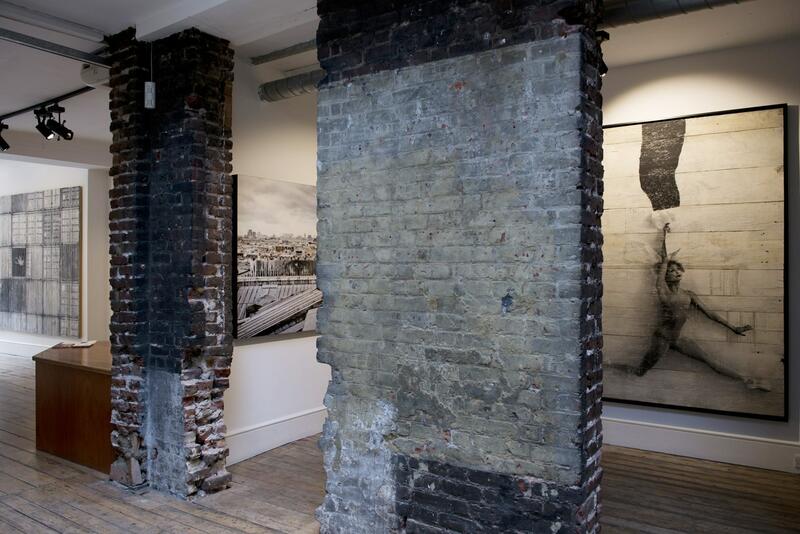 Passion can be seen in all of JR’s exhibitions and projects, not just those discussed above. This is just one of the many reasons why Lazinc have revelled in the last decade of working with the artist.  We are delighted that his new exhibition, GIANTS – Body of Work, will be opening our flagship Mayfair gallery. 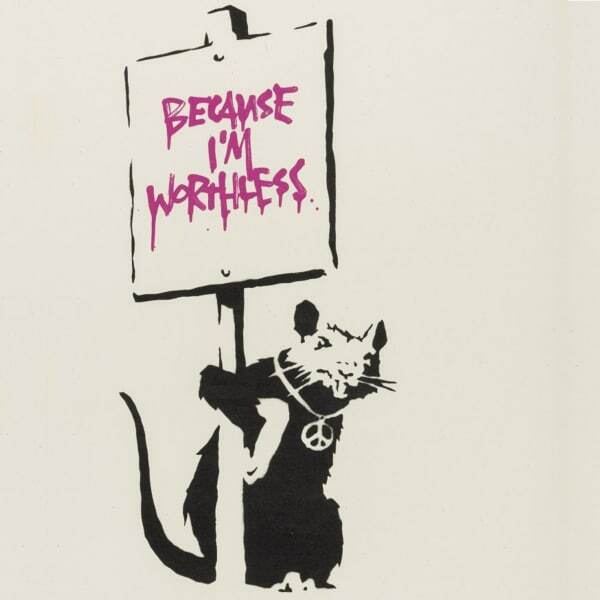 Banksy’s coming to South Bank in the form of Lazarides new Gallery!